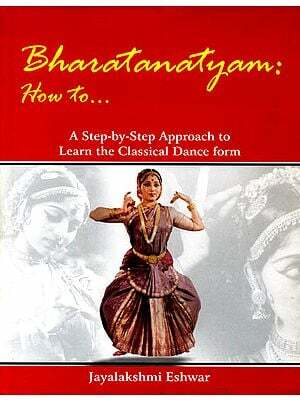 Indian dance comprises of 3 main elements Nritta or pure dance, Nritya or expression and Natya or drama. In this episode we concentrate on Nritta or pure dance. Rhythmic patterns called Jathis or boles are a common feature in all the major classical styles of india. Every individual has his or her own style of rendering a Jathi. In this episode we will watch a few group numbers of these complicate rhythmic patterns. We present students of Narasimhachari & Vasanthalakshmi, students of adyar Lakshmanan, students of kalakshetra and a solo number, a sprightly Thillana by the dancing star Alarmel Valli. "Alarmel Valli is the quintessence of dance" praised the press. Trained by pandanallur Chokkalingam pillai and then by his son Subbarayapillai, Alarmel Valli is one of the well traveled Indian dancers. In this episode we begin with a group number- an extract from "Yatra" choreographed by Lakshmi Vishwanathan. With new innovative music "Yatra" denotes the journey of man from birth to death. Featuring six youngsters, this scene from "Yatra" depicts the birth of man and his youthful love and romance. Madhuvanti, a disciple of Dr. Padma subrahmanyam, performs to her guru's choreography of a traditional padam "Aadilondar" in praise of lord Nataraja. Ajith is one of the popular dancers of Singapore and has performed on stage with many of the dance schools there. Here he presents " Simhasanasthithe" in praise of Goddess Shakti. We also visit the dance school Singapore Indian Fine arts society in Singapore.